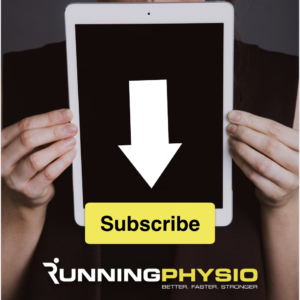 Shona is a runner and running coach and has very kindly agreed to share her story with RunningPhysio. She works with Up and Running in Sevenoaks and you can follow her on Twitter – @Uprunning7oaks. Does running help with mental health? There’s been a lot about this in the media recently: I’ve seen reports that say it does, and I’ve seen reports to the contrary. I can only go by my own experience, both personal and as a running coach. I’ve suffered from depression on and off since adolescence. I’ve had therapy (several different types) and medication (you name the antidepressant, I’ll probably have taken it). I’ve found that therapy with the wrong person can do more harm than good, and therapy with the right person can be life-changing. Medication has helped with the symptoms and got me though some rough patches. Then 10 years ago I took up running. I’d never been good at sport, and dreaded games lessons at school. I couldn’t wait to give it up and vowed when I left school I would never do any exercise again in my life. Like many women I’ve never felt comfortable with my body, and sport just made me all the more aware of that. So I was very surprised when I found myself joining a beginners’ running group, persuaded by a friend who wanted to give it a go. I really struggled with it. I was always at the back, puffing, sweating, trying desperately to keep up. I used to drive home afterwards cursing my uselessness, but I was too stubborn to give up, and I really liked the other women I was running with. So I plodded on, occasionally in tears, once even getting lost because I was so far behind the rest of the group. After about six months I suddenly realised one day that I was running along beside – not behind – another runner and chatting! It was my light bulb moment, when I finally began to think that maybe I could do this. I started to push myself a little harder, to run more often, and within a couple of years I was running half marathons and then full marathons. I never became a fast runner, but I didn’t care – I was enjoying myself, loving the challenge, making friends, encouraging others who were struggling as I had. I qualified as a running coach and have been coaching for the last six years. I realised along the way that I felt better mentally than I ever had, and started to think about why. I realised that, for the first time in my adult life, I no longer hated my body. Not because running transformed my appearance – it didn’t. I slimmed down and toned up, but my body is still not a supermodel’s. The difference is that I now accept it and value what it can do, rather than focusing on the negatives. I am much more confident and comfortable with myself, and I can just be in the moment, running, focused on the physical effort without intrusive negative thoughts about my body. I also realised that, when I felt low, running lifted my mood. Sometimes it was hard to force myself out of the door, and it often felt like running through treacle, but I always came back feeling better than when I went out. If I had to stop running through injury or illness, I could feel the black dog creeping up on me after a couple of weeks, but getting back out there would drive it away again. I have had episodes of depression in the last 10 years, but they have been milder and shorter, and I am sure that is at least partly down to running. I’ve also seen how running boosts other women’s confidence, self-esteem and mood over the years I’ve been coaching, and as I’m open about my history of depression I’ve had many conversations with runners who’ve told me they have found it really good for their mental health. Three years ago I was chatting about it to some runners I was coaching. Afterwards one of them approached me and said she worked as a clinical psychologist and why didn’t we set up a running group for women who suffer from depression or anxiety? It sounded like a good idea to me – so we did. Up and Running in Sevenoaks offers 10 week courses for women who don’t currently run, to gently introduce them to regular outdoor exercise in the company of women who can offer mutual support and understanding. Depressed people often feel isolated, so peer support can be vital, and there is evidence that being outdoors is beneficial for mental health. I think that’s why our group works – the combination of being outdoors, running, and getting to know other people who have similar problems is the key. Harriet and I have coached eight courses now, and many of our women are still running together and supporting each other. Harriet does psychometric assessments at the beginning and end of each course, and we ask participants for evaluation and feedback. 90% of our participants who make it to the end of the course (there are always some who drop out) say they feel their mental health has improved, and that certainly shows on the psychometric measures. I feel very proud when I meet a group of our runners trotting through the park together, chatting and enjoying each other’s company; they are a fantastic group of women, and a great advert for the benefits of running. So do I think running is good for mental health? I have no hesitation in saying – yes, I certainly do. It changed my life. I couldn’t agree more with the sentiments expressed here. I too have suffered with depression but it was not diagnosed for years. Running has done wonders for my self-esteem and sense of accomplishment. I work in a field where people are often very complimentary, yet despite this I have always felt a bit of a failure when suffering from bouts of depression. Running a half marathon and then marathons has helped me realise that it is hard work, not talent, that brings success. This has been a huge comfort in difficult times, so I am very grateful that others are being so honest about this. It is a hard thing to talk about amongst men in particular, but this time I vowed that I would make no secret of it at all, and have been touched by how supportive my friends have been. So run, not fast, not slow, not to the beat of anyone else’s drum, just run. Most people will never try or achieve even a 3 mile run. So whoever you are you can hold your head high knowing that your hard work has got you somewhere. And that can’t be taken away. Ever. I have no doubt running has been vital to controlling my mental state. I believe exercise in general and meditation are tools every person with anxiety or depression should learn to use to control their disorder. Thanks for being an open book to the subject.